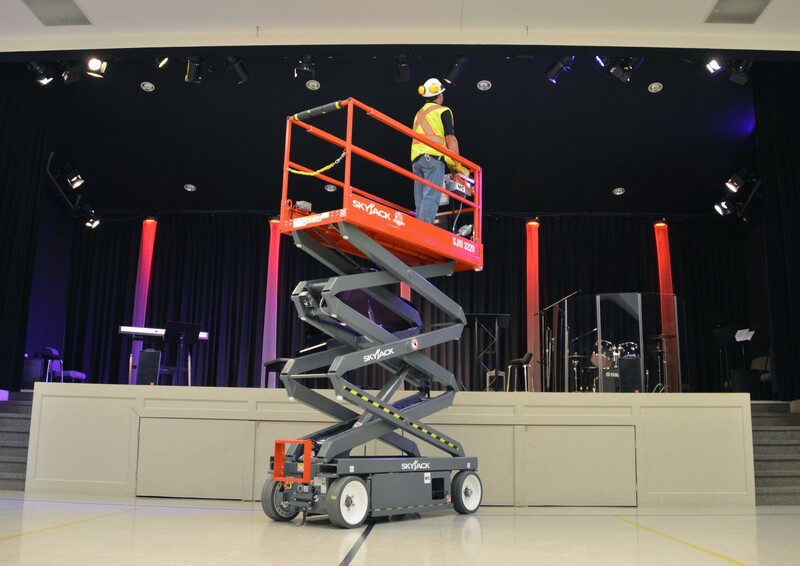 Skyjack's SJIII 3220 is a narrow DC electric scissor lift which benefits from a high capacity and large platform area, providing a maximum platform height of 20ft. Not only does the SJ3220 boast a 408kg capacity, at 0.81m it is also narrow enough to fit through standard doorways. It is driveable at full height and comes with a 0.91m roll out extension deck.